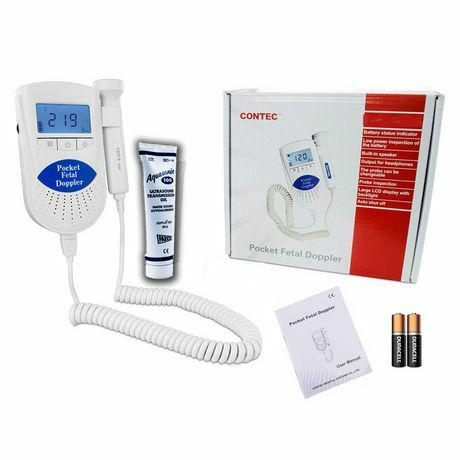 Contec fetal heartbeat monitor is the most commonly used equipment by healthcare professionals including midwives and obstetricians as well as expectant mothers to monitor and hear the baby's heartbeat. 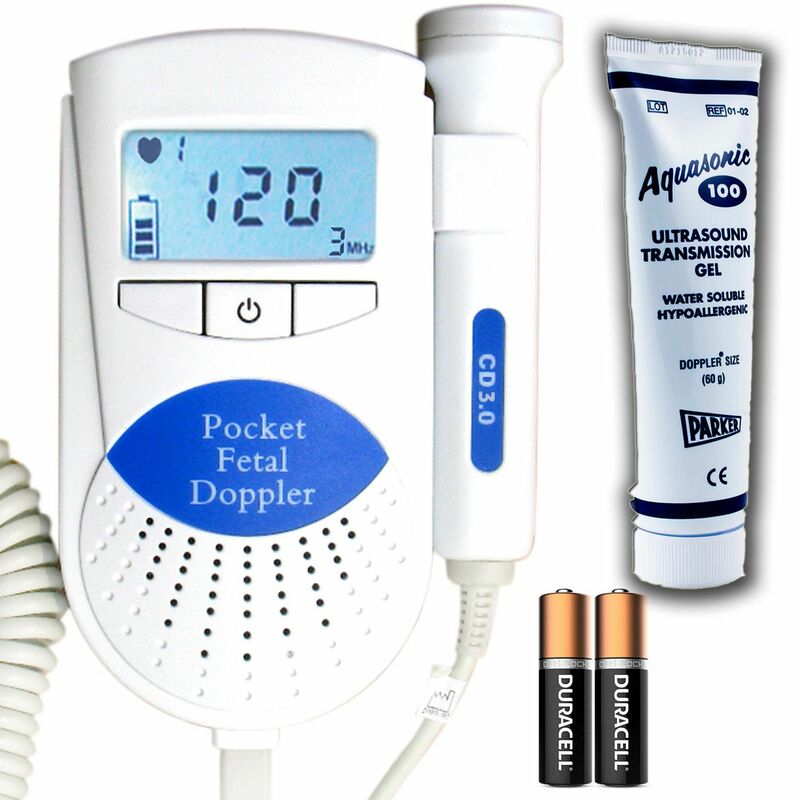 Contec monitor is equipped with 3MHz probe which has the cutting-edge technology in Fetal Heart Monitoring. This unit allows any health care professional or expecting parents to heart baby’s heartbeat beat with ease and as early as 12 weeks of pregnancy providing peace of mind and reassurance. The back-lit LCD Screen displays the baby’s heart beat in three different FHR (Fetal Heart Rate) modes. An audible sound is heard in real time from the built-in high quality speaker. This unit is equipped with an audio output for headphone or sound recorder (headphone or recorder NOT included). Contec monitor is super light in weight and has compact design. It functions with 2xAA batteries which is included in the package and can be easily found in the market. this unit is not intended to diagnose any medical condition and it should not be used to come to a conclusion based on its findings. It is not a replacement for a medical doctor and recommended ultrasound check by your obstetrician. Please consult your medical practitioner on the use. This device has one year comprehensive warranty form the date of purchase.